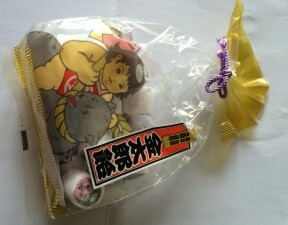 My husband bought a bag of Kintaro-ame as souvenir from Japan, and I gave it to our neighbours’ son who takes karate lessons. I told him that Kintaro is a symbol of strong boys and men, so he can enjoy the lolly with his fellow karate kids. 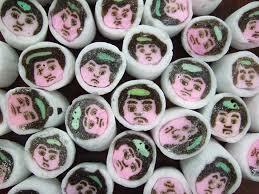 This candy, created in Edo period, has a striking feature – each and every one of them has the face of Kintaro. Hence it is sometimes used to describe a group of people whose response is boringly similar and not unique. Kintaro (Golden First Son) is a legendary figure rather than a historical warrior that some regions claim to be related to. A song, composed in 1900, describing him riding a bear with his Masakari (ax) is known to everyone. 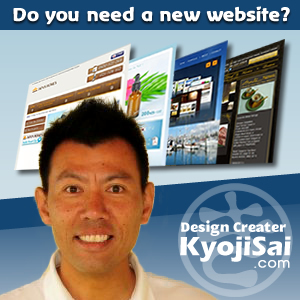 A Kintaro doll is often a gift to a baby boy with the wish for him to grow up healthy and strong. History aside, the sweet can be enjoyed by all, children and adults alike.